Awarded Thumbtack BEST OF 2015 in the category of Best Fitness Trainer in Fort Lauderdale! 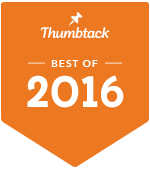 Awarded THUMBTACK BEST OF 2016 in the category of Best Fitness Trainer in Fort Lauderdale! Enter your email for a free video working with alleviating tension that may affect low back pain. Contact for a Free Assessment!